Orthotics are custom made devices prescribed by a podiatrist to fit inside your shoes. They help comfortably stabilise the foot, support the arch and correctly align foot posture to assist with complaints such as foot pain, ankle injuries, biomechanical problems and flat feet. Whilst not everybody needs orthotics, for those who do, they can be a blessing giving them freedom from pain, increased confidence and comfort in their feet. Orthotics are often prescribed for a range of foot complaints and are a commonly used tool in assisting those whose foot problems are caused by pressure related issues, biomechanical problems, and over use of particular tendons, muscles or bones. 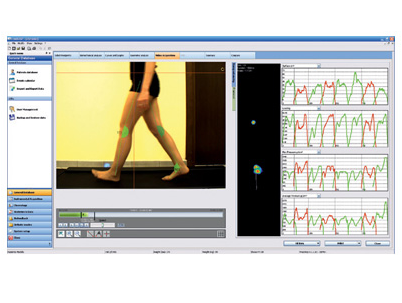 Using state of the art force platforms synchronised with digital video cameras at our Unley Clinic, or via a standard gait assessment at Magill our Podiatrist’s are able to provide an accurate clinical analysis of your posture, balance and gait. This information may be used to gather or confirm a diagnosis, monitor your treatment progress as well as provide accurate orthotic prescription. After your biomechanical evaluation (involving foot pressure, p﻿osture, balance and video-gait assessment)﻿ we then use a 3D scanner to create a digital image of your feet or a fiberglass model cast. 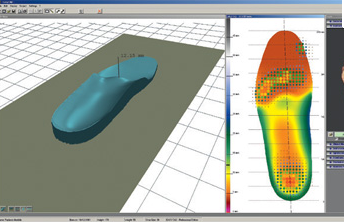 Using this scan or model together with the information from your dynamic assessment, our Podiatrist’s will design your orthotics. The design is then sent to an orthotic lab to be milled or created and your orthotics will be ready to pick up within a week. Our clinics are equipped with an on-site orthotic laboratory which allows us to make any additional updates and changes to your orthotic on site as your needs change. Orthotics help by re-aligning your posture from the ground up. When your foot posture is incorrect, the entire body structure is incorrect. Biomechanical problems can increase stresses within the foot structures and the surrounding soft tissues, creating localised pain in the feet, ankles and also problems in the lower limbs, knees, hips and back. Foot orthotics allow the muscles, tendons and bones of the feet and lower legs to function at their highest potential by correcting misalignment. When appropriately prescribed, these orthotics can decrease pain and increase stability in an unstable joint, along with preventing potential progression or development of a deformity. - Sports people & Runners; orthotics will often increase endurance, performance and strength. - Overweight individuals; orthotics can help to counteract the extra stress on the feet, as minor problems are often magnified due to the increased weight. In athletic individuals, sports activities result in a great deal of movement and pressure on the foot. Orthotics may assist by reducing fatigue and preventing and reducing injuries and imbalances. With enough functional correction, the foot structure can be aligned to give more propulsion, making walking, running and cycling more mechanically efficient. Slight imbalances in the foot that are not harmful or even detectable under usual circumstances may make one more vulnerable to injury with the extra stress of sports activity. By eliminating the need for one's muscles to compensate for imperceptible imbalances, orthotics can reduce fatigue and promote efficient muscle function to enhance performance. Carbon Fibre - Semi-flex Carbon fibre orthotics such as Superform & TL2100 bounce back with your foot like the shock absorbers in a car and are amazingly comfortable. These are suitable for young active people as well as marathon runners and cyclist as they are light weight and very thin whilst incredibly hard wearing. Rigid carbon fiber devices are also available for those who require greater biomechanical control as a light weight substitutes for polypropylene. Soft EVA - Using computer technology to create the right prescription for you, these orthotics are perfect for people looking for a little more cushioning in their life. Like a fancy sneaker insole, these are both comfortable as well as supportive. If you get smelly feet we, on request we can also make a machine washable version of your devices. Polypropylene - This material is the most popular material used world wide due to its versatility and longevity. This highly versatile material is tested by time and will last for years to come. Making a pair of orthotics is like creating a piece of art. It looks simple once made but in creating it there are many things to take into account. Many prescription variables, materials to choose from and so many things to consider based upon your specific measurements and mechanics. But that's our job and just like an artist, our podiatrists know how to bring all of this information together to create a custom made pair of orthotic specific for your requirements.